The PureMadi ceramic water filter is a point-of-use water treatment technology. This means the filtration process takes place in the home, close to the point of consumption, thereby reducing the risks of contamination during storage and minimizing the time spent seeking out clean water sources. We sell the ceramic filter along with a lower receptacle that stores and dispenses the purified water. The filter sits within the lower receptacle, which allows the water that passes through the ceramic to be safely stored at the bottom of the receptacle and out of reach of recontamination. The lower receptacle has a spigot so users can easily access their clean water as needed. The filter effectively cleans water in two ways: filtration and disinfection. Physical filtration occurs when the water passes through small pores in the ceramic, which block bacteria and particles. Natural chemical disinfection occurs when the water passes through the filter and has contact with the applied silver technology. from the water. Learn More. PureMadi currently operates filter production facilities in Ha-Mashamba and Dertig, South Africa. 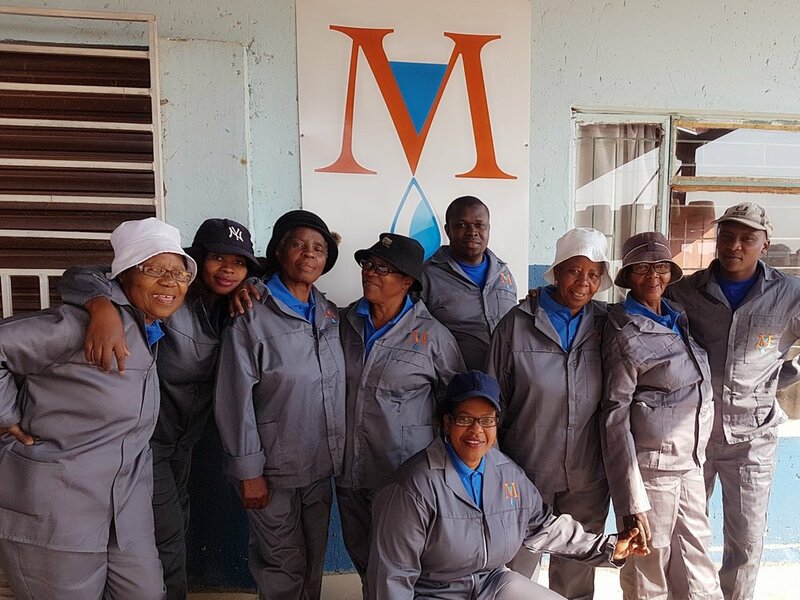 Both facilities are locally staffed and have independent managers who lead active communication between their respective sites and the PureMadi board. The Mukondeni Filter Factory is located in Ha-Mashamba, Limpopo Province, South Africa. Like much of rural South Africa, Limpopo Province faces “quadruple” health challenges related to the crippling burden of HIV/AIDS; other infectious and nutritional diseases; non-communicable diseases; and injury-related conditions. It is a predominantly agricultural province, which suffers from the highest rates of poverty (34%) in the Republic of South Africa and reports the lowest rates of accessible drinking water (44%). The Dertig Facility, near the larger city of Dertig, is up and running! Manager Nkosi Ndebele is working on fine-tuning our filter recipe to produce the optimal flow rates in the filters. 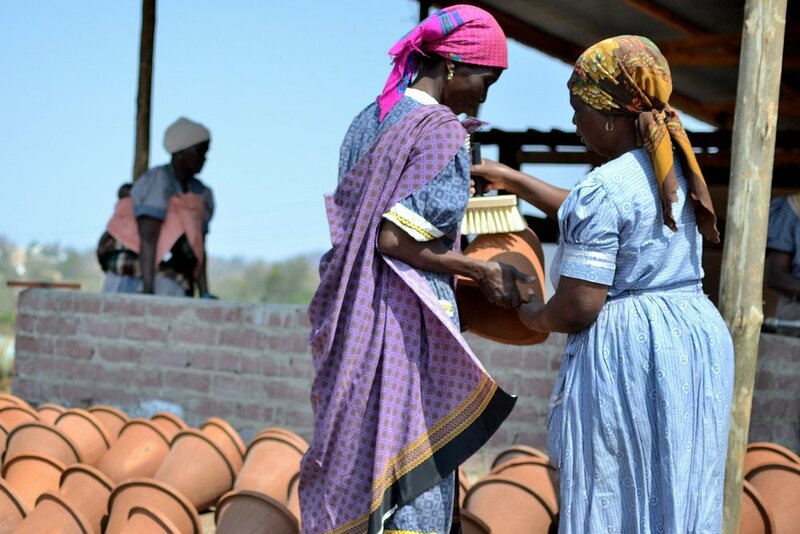 The Dertig Facility has become a community fixture and many people from the area are excited to be involved in filter production as well as tending to the garden that was planted last year. We continue to work with our community partner Khulisa Social Solutions and are looking to grow our sales in the next year. Manager Nkosi Ndebele can be contacted at nkosinobubelondebele@live.com.